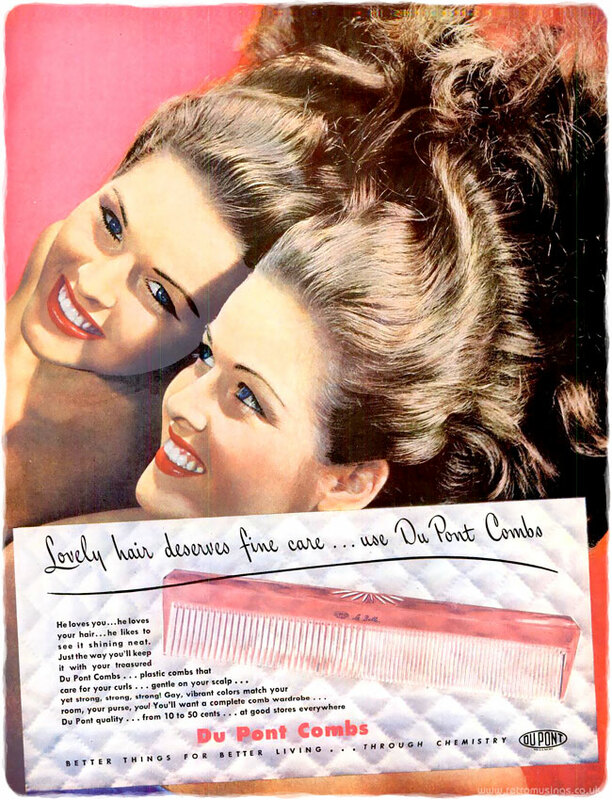 These ads for Du Pont combs date from 1946-47. Each ad featured a model with lovely long, combed hair. 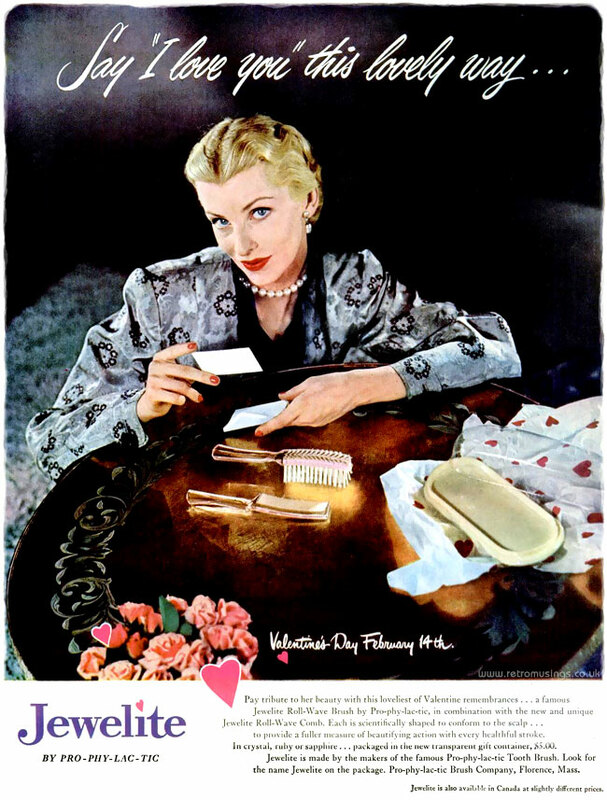 These ads for Pro-phy-lac-tic “Jewelite” hair brushes date from 1945-49.